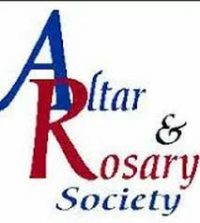 On Thursday, May 11th Father Bob inducted new members into the Altar & Rosary Society: Christine Kessler, Kathy Kessler and Kathy Marranca. He also installed the officers: Janice Messmer – President, Patricia Stahrr – Vice-President, Maureen Adolf – Recording Secretary, Sandra Wiess – Treasurer, Marge Lukas – Dues Secretary and Mary Ann Frank – Corresponding Secretary. God Bless all of you!